This is the Smeg WHT914LSUK Freestanding White Washing Machine, an amazing appliance designed exclusively by Smeg. 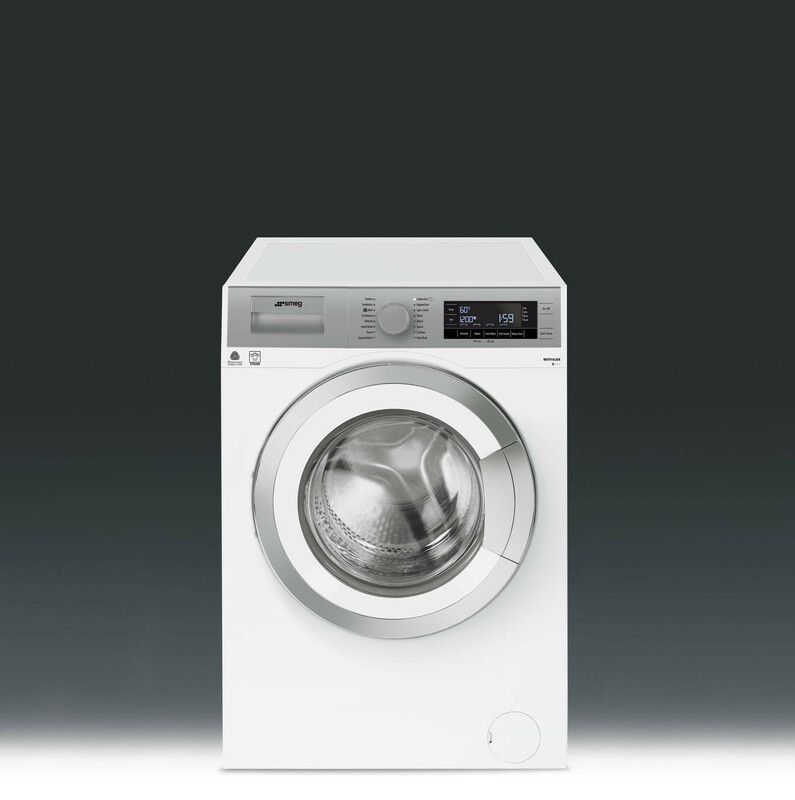 With an abundance of quality features coinciding with the essential features, this washing machine delivers everything you'd require. If you're looking for the most efficient appliance for washing your clothes, look no further than this Smeg washing machine with its A+++ energy rating. With a 9kg maximum weight and spin speed of up to 1400rpm, you can be sure that your clothes are getting the wash they need. This washing comes with an added silver colour scheme, to make it more aesthetically pleasing. Display Electronic display including 24 hr delay timer, time to end, spin regulation, temp regulation and recommended load.